This is Abbington's Seaview Motel and Cottages, just minutes from Lincolnville Beach and downtown Camden, Maine. 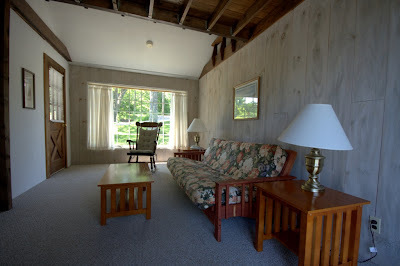 Originally a 1950's motor court - conveniently located on Route 1 offering wireless internet and TV in all rooms. Cottages were built in 1952 and the motel in 1985. This is a standard cottage interior with walkout and view of the bay. 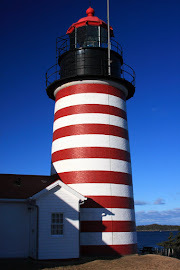 Lincolnville is a great small town with its sandy beach, lobster pound, artisans, galleries and a variety of restaurants featuring local foods. It was voted "one of the Top 20 Dream Towns" by Outside Magazine. 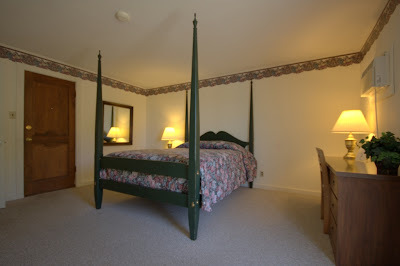 The owner's quarters is an efficiency apartment connected to the laundry room and office. Offered at $425,000 this is a wonderful opportunity to buy a small business in a tourist destination.